As someone with disabilities, I fully understand that living an independent life is challenging, to say the least. Every day there are people, obstacles, and tasks that require additional energy and determination. I applaud you for coming so far and living an independent life regardless of how much work it takes. As you continue to live your life, it takes a regular dose of self-determination to keep facing the day, remaining strong, and regularly learning more about yourself. As a disabilities life coach and advocate, I believe that we can work together to grow and become stronger, which is why I am offering a self-determination course so that you can learn how to advocate for yourself and keep living an independent and happy life. What Does the Self-Determination Course Include? Over the course of 12 weeks, I teach 12 classes that focus on a series of topics. Topic One: Advocacy – These classes will focus on how to be an advocate for yourself and how to build self-confidence so that you can freely stand up for your needs and wants. Topic Two: Managing Your Staff – If you’re a leader of a team, these classes will cover the ins and outs of managing your staff, some dos and don’ts, and other professional things that people with disabilities aren’t necessarily taught, but we need to know. Topic Three: Empower You – The last set of classes will go in depth about how to determine what you want, what desire you have for your life, what your core values are, and how to better present yourself to those around you. Being an advocate for yourself can be challenging and it can take a lot of practice, but with the help of a life coach who has been through it herself, you can begin to lead a more successful and independent life. 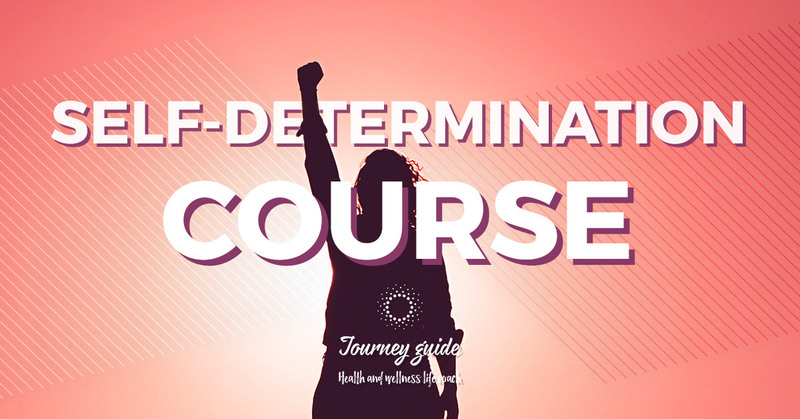 If you want to learn more about my Self-Determination course, please get in touch with me today! I can’t wait to help you learn how to empower yourself so you can live a life as independent as possible.